Ford again reminded us of the classic and handsome figure of American Muscle by presenting the 2019 Ford Mustang Bullitt. 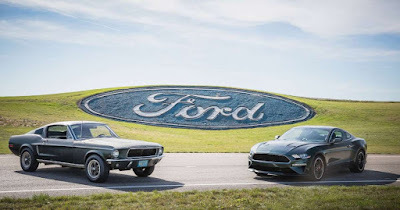 Seeing the Mustang Bullit will remind us to one of the Steve McQueen's action films in 1968 titled 'Bullitt,' when this car actioned to jump over the hilly area of ​​San Francisco. This car looks has a dashing body structure with big engine power. 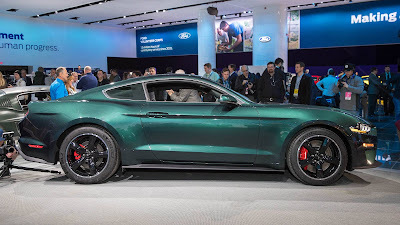 So far, Ford has generally shown off the 2019 Ford Mustang Bullitt with a color called Dark Highland Green. 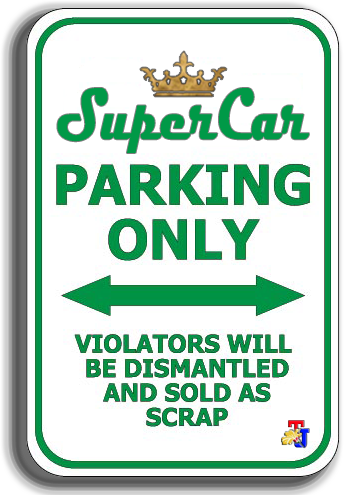 But recently, there were other units of this car that were caught on camera in new colors. 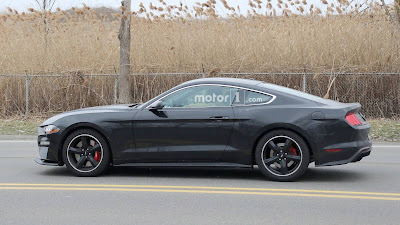 As quoted by Motor1 on Friday, April 13, 2018, that the 2019 Ford Mustang Bullitt will be also present in the Shadow Black color which makes its appearance more elegant. The grille on the Shadow Black Bullitt looks to have thicker chrome trim around the bottom, compared to the Dark Highland Green version. It's possible that this new color is an optional part, or it could be a way for Ford to add to its next development. 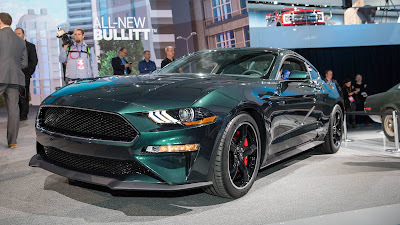 The 2019 Ford Mustang Bullitt car uses a 5.0 liter V8 engine capable of producing 480 horsepower (358-kilowatts) combined with a six-speed manual transmission system. 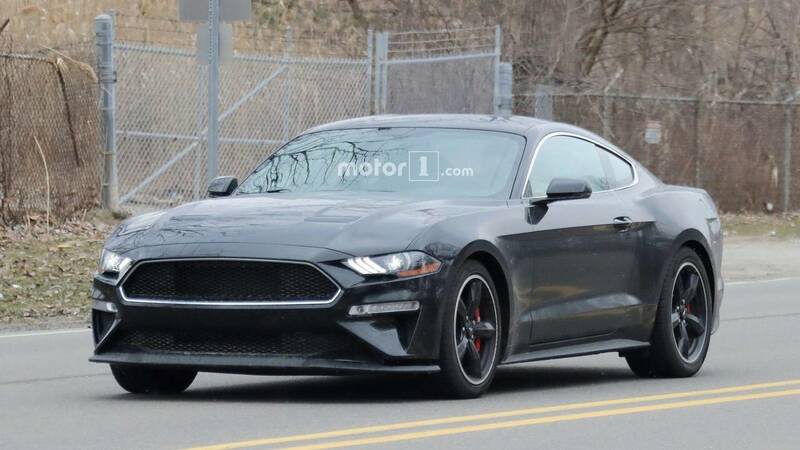 While for the European market, the latest Bullitt car will come with an engine capable of producing up to 457 hp (341 kW) and 390 lb-ft (529 Nm) of torque. 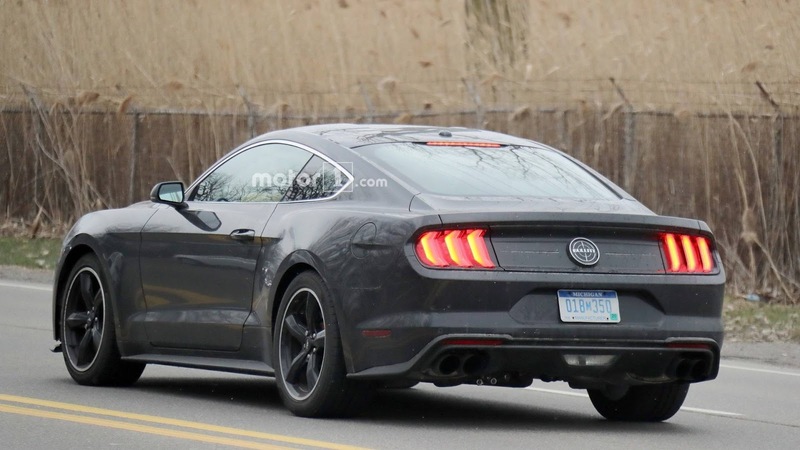 This is the same engine unit used by the standard version of the Mustang GT, but by adding cold air flow into it. So that the power produced is 20 hp (15 kW) larger than the Mustang GT, while the torque is same, which is 420 pound-feet (570 Newton-meters). 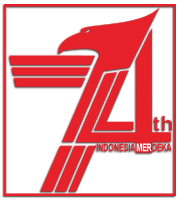 The throttle body of the car was also increased from 83 mm to 87 mm. 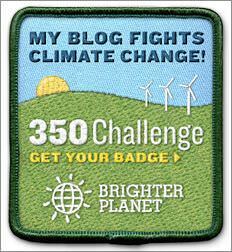 Then the 2019 Bullitt car can accelerate from 0-62 mph in 4.6 seconds and its highest speed can reach up to 155 mph. In addition, buyers can dress up the Bullitt with options like an electronics package, which adds navigation, MagneRide suspension, muffler, sport driving mode, Brembo brake system and Recaro sport seats with green stitching.